Shortly after interviewing Counselor to the President Kellyanne Conway, Meet the Press host Chuck Todd brought in his panel to discuss the immigration crisis at the southern border. Todd described Conway as somebody who "represented an administration that...wants to do something, wants to do a deal but her boss doesn't sound like somebody that wants to do a deal." 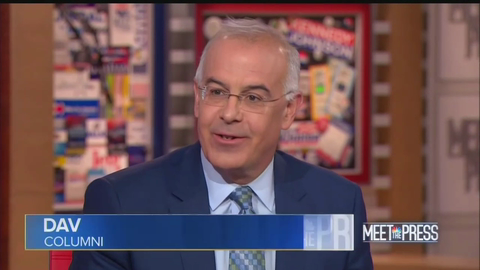 New York Times columnist David Brooks outlined what would happen in a "magical fantasy land where we have a President who cares about solving other people's problems" before trashing President Trump: "President Trump sees every problem as a chance for his own performative narcissism, as a chance for him to show...what a man he is." Brooks also accused the President of trying to "deter immigration through cruelty," arguing "that's why we have this problem."